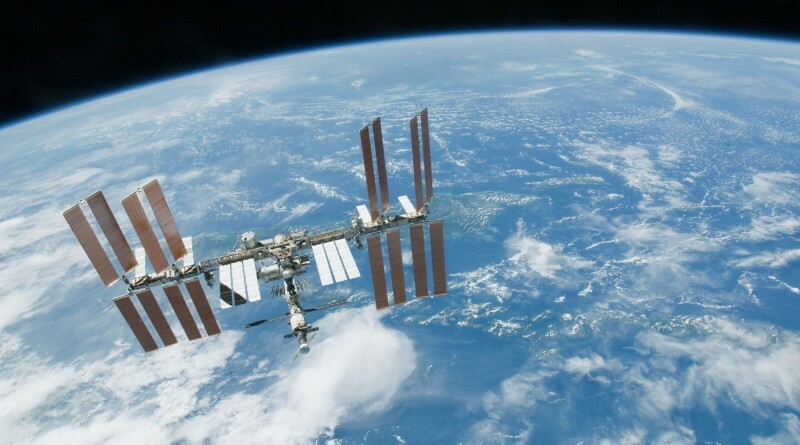 The International Space Station has been hit by a string of problems in a number of onboard systems in the past week, temporarily leaving the orbital outpost without Carbon Dioxide removal capability. Though not overly serious in nature, the systems issues were an inconvenience for the crew and teams on the ground, requiring dozens of work hours to resolve. Trouble first emerged last Friday when the Carbon Dioxide Removal Assembly (CDRA) in the Destiny Laboratory went into shutdown mode after encountering a issue with its Fan Motor Controller. This left ISS in an undesirable situation with no CO2 removal capability since the Station’s other CDRA located in Node 3 had been out of commission since January 19 and the Russian Vozdukh was in manual mode and not processing. CO2 levels were seen rising to a partial pressure of over 3.0mmHg and Mission Control instructed the crew to monitor for CO2 symptoms, but the CO2 concentration remained well below dangerous levels. ISS Expedition 46 commander Scott Kelly had a discussion with Mission Control on whether normal operations should continue while no system was actively removing Carbon Dioxide from the atmosphere or if the crew should stand down on some of the planned activities. Operations continued as planned while Mission Control began working the issue once specialists had come in. Mission Controllers and support personnel worked out the issue and successfully rebooted the Fan Motor Controller later on Friday to restore the Lab CDRA’s functions. Over the weekend, the Lab CDRA again faulted, but this time due to a known condition related to the 104 Air Selector Valve which needed to be commanded manually before re-activation of CDRA. Air Selector Valve 104 acted up yet again early on Tuesday, needing another cycle through ground commanding before CDRA could re-start processing. Issues with these particular valves have been an ongoing struggle for a period of years due to an intrinsic design flaw. Only a few hours into CDRA’s operation, on Wednesday morning, the 105 valve stopped CDRA operation and the system was out of commission for good, leaving ISS with only one primary CO2 removal system – the Russian Vozdukh. Because the Russian Vozdukh was switched off for Wednesday’s Spacewalk, Mission Control activated the Amine Swingbed on the U.S. Segment to help manage CO2 levels. The Amine Swingbed started out as an experimental device designed to use an amine-based chemical combined with the vacuum of space to renew cabin air. It has since been implemented in operational applications, managing CO2 levels aboard ISS. On Thursday, Scott Kelly and Tim Kopra started a lengthy maintenance operation on the Node 3 CDRA to return it to service by replacing the failed Pump Flow Motor Controller and putting the system through general maintenance. The total crew time needed for the operation is about 13 hours and CDRA is expected to be ready for checkouts and processing in the overnight hours. Adding further work to the crew’s busy schedule was an unexpected Oxygen Generation Assembly fault on Monday when OGA stopped processing due to a failure of a Hydrogen Sensor in the oxygen output line of the system. Both, the OGA and the Russian Elektron system, generate Oxygen by electrolysis of water in which water molecules are separated into Oxygen and Hydrogen. 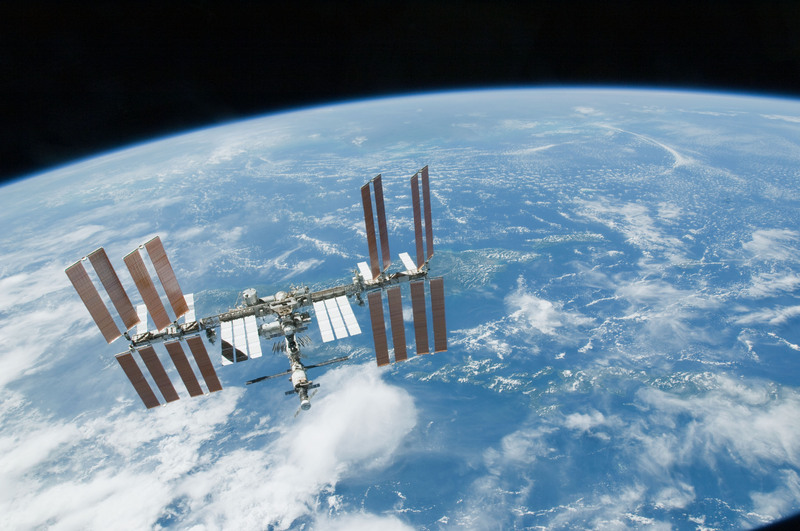 While oxygen is released into the ISS atmosphere, the Hydrogen byproduct is vented overboard to avoid any trouble arising from the flammable gas. To ensure no Hydrogen enters the inside of ISS, a pair of sensors is installed within the outlet of OGA to trigger a shutdown of the system in case Hydrogen ends up in the Oxygen gas output for some reason. OGA was placed in standby mode on Monday to await an opportunity for the replacement of the failed sensor with one of two available spares. Elektron continued to operate nominally and Oxygen levels were not of concern. Tim Peake conducted the repair operation on the OGA on Wednesday while the spacewalk was ongoing and OGA was successfully reactivated later in the day. 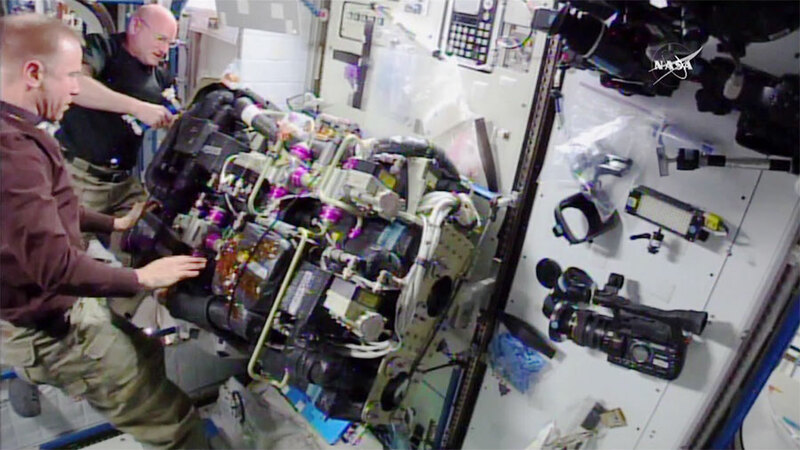 In addition to issues related to the Station’s atmospheric conditioning systems, teams on the ground had to deal with a high-pressure anomaly within the Urine Processor Assembly in charge of converting the crew’s urine to potable water for consumption. Other recurring issues encountered in the last week included a power supply failure in an external camera system, a communications issue with payload systems and a Water Processor Assembly fault. All issues were resolved by Mission Control using established procedures. With all issues overcome successfully, activities are again proceeding in an orderly fashion aboard the Space Station. Although none of the issues were an immediate danger to ISS or its six crew members, recovery efforts required over 15 hours of crew time that is taken away from ISS Utilization Activities. 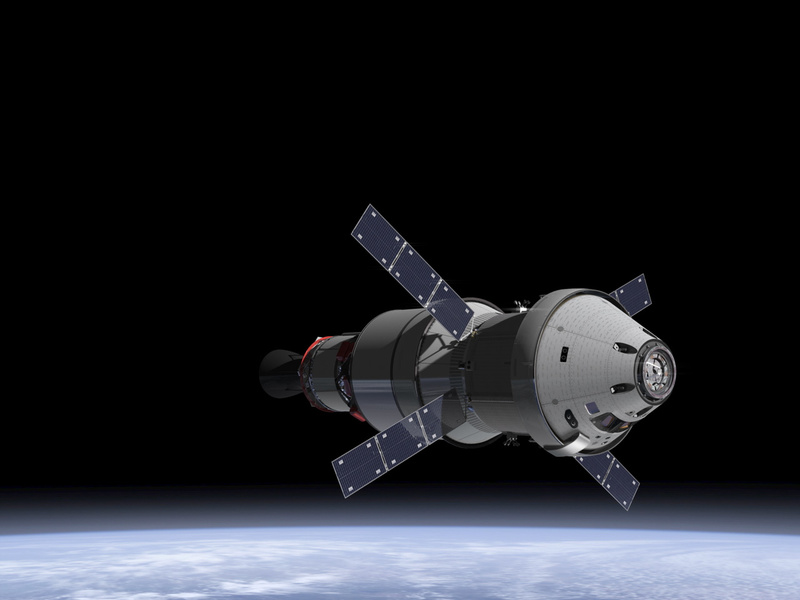 To maximize the science return from ISS, NASA plans to increase the size of the U.S. Segment crew to four once the commercial crew spacecraft start flights to ISS. 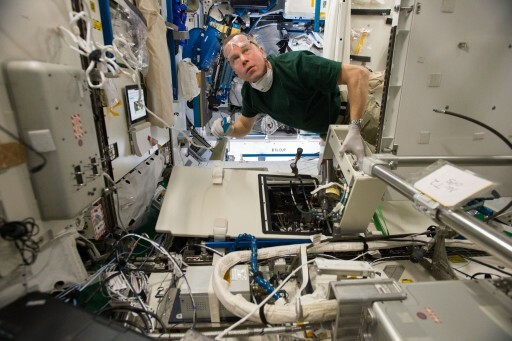 Although utilization time has seen an increase since the official completion of ISS assembly, crew’s only spend a small portion of each day actually conducting science as time is required for maintenance activities, daily exercise and crew hygiene. An additional pair of hands on the U.S. Segment would drastically increase the crew time available for science since maintenance requirements would only rise marginally with a seven-person crew on ISS. NASA planning documents show the transition of ISS to seven crew members in 2018 with the transition to Expedition 56, though the exact timing will depend on the availability of commercial crew flights aboard SpaceX’s Dragon and Boeing’s Starliner Spacecraft. The recent issues with the Space Station life support systems also showcase the importance of lessons learned through the long-term operation of such systems. Knowledge from operating ISS for several decades directly benefits future missions Beyond Earth Orbit (BEO) which will need robust and easy-to-maintain Environmental Control and Life Support Systems (ECLSS). ISS has the luxury of receiving regular supply runs from Earth to deliver hardware needed for the upkeep of its systems. 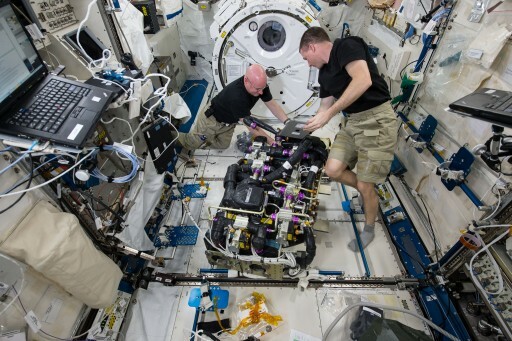 Shipping replacement parts to a crew deployed to deep space will not be an option and crews will also face the added difficulties associated with communication delays, requiring them to work out system issues on their own. While ECLSS failures on ISS come at the cost of crew time, the lessons learned from them are invaluable for engineers tasked with designing systems for use on long-duration, long-distance space missions where reliability will be paramount.